When was the last time you used paper as a medium for storing information? In case you own a tablet or a smartphone (or both), that probably does not happen very often. That is because our digital devices are steadily altering the way we do every-day things, such as taking down notes or reading the news. But this could possibly be just the beginning of a much broader transformation. 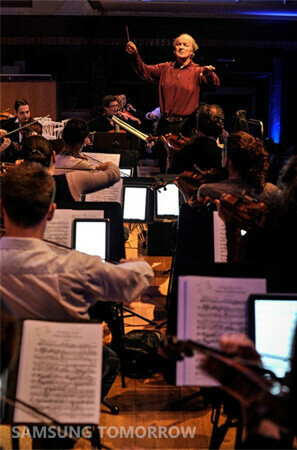 Apparently, the mobile device revolution has started changing musical performances too. 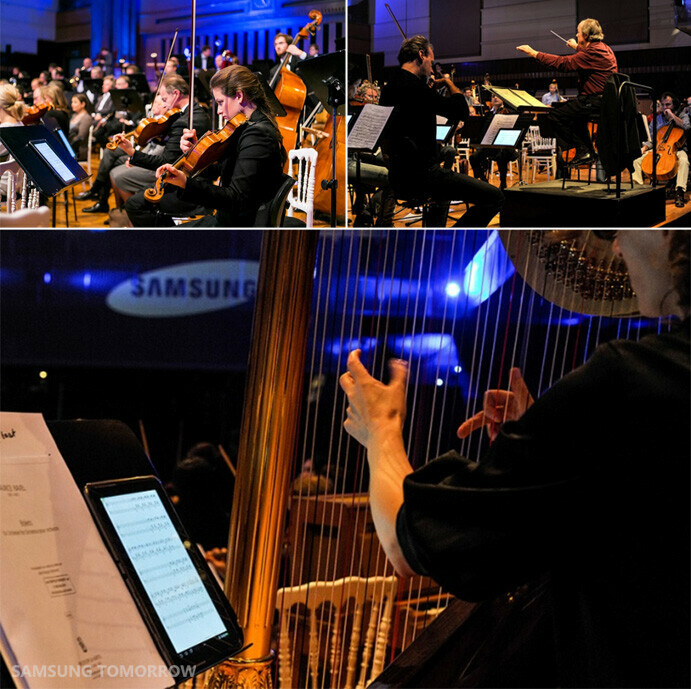 The Brussels Philharmonic is officially the world's first orchestra to ditch its music score sheets in favor of a tablet - the Samsung Galaxy Note 10.1, in this case. As you might imagine, doing so brings a plethora of benefits. 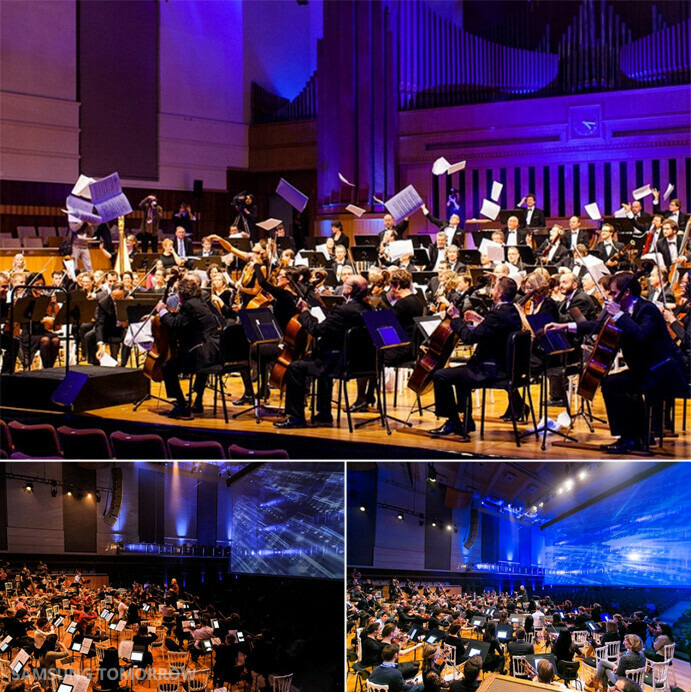 Distributing the score sheets before each concert is now a lot easier as a digital copy is sent to each of the 100+ musicians, instead of being handed out individually by hand. And since the device comes with plenty of storage capacity, it can store all the music a musician will ever need, available at the tap of a button. It is also worth mentioning that since the tablet is equipped with a fancy stylus – the S Pen, performers can are free to take down notes if needed. Now, one might think that buying a 100 Samsung Galaxy Note 10.1 tablets is a bit too great of an expense, but in the long run, the investment should be worth it. 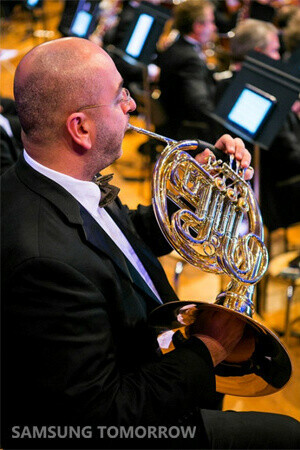 The device will not only improve the efficiency of the orchestra, but will help it cut down on paper expenses by as much as 25,000 euro. All made possible thanks to a 600-gram slate one can carry around at any time. Pretty neat, don't you think? Love your avatar; I'm now ready for a "sit-down" with you. That's only because they don't have iToones in Belgium!! Lol I live in Belgium and iTunes is available here... But oh well, we made the right choise to choose the Note 10.1 aka the best tablet in the world! 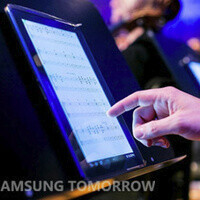 So Samsung's commercial was correct, it is great for orchestra use. Actually it's good for something realistically artistic no the joke of a piano app. the note 10.1 is actually a pretty good device... and im pretty sure nexus 10 will be awesome too! but still hoping samsung will consider the design and the materials to use even though plastic will be good for portability...but still plastic is plastic! the only samsung i like was that wave phone (that bada, forgot the name) really a good looking device! coz of its aluminum finish! hope samsung will consider that design! It's been funny watching the several ms surface ads on tv the past weeks, it's sad because I see Microsoft following the iPad fad path of advertising (flaunting the "design & look") instead of showing off neat & "innovative" features. I honestly don't feel this strategy of advertising will translate to mass sales for that device. 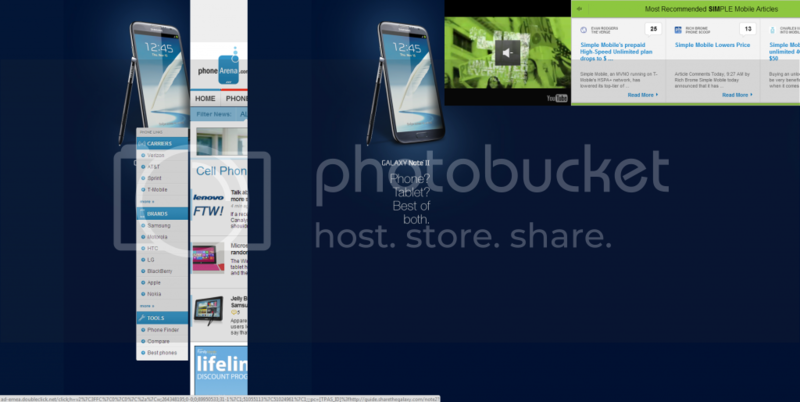 Samsung seems to be the only manufacturer that's come to realize users are much more savvy now.